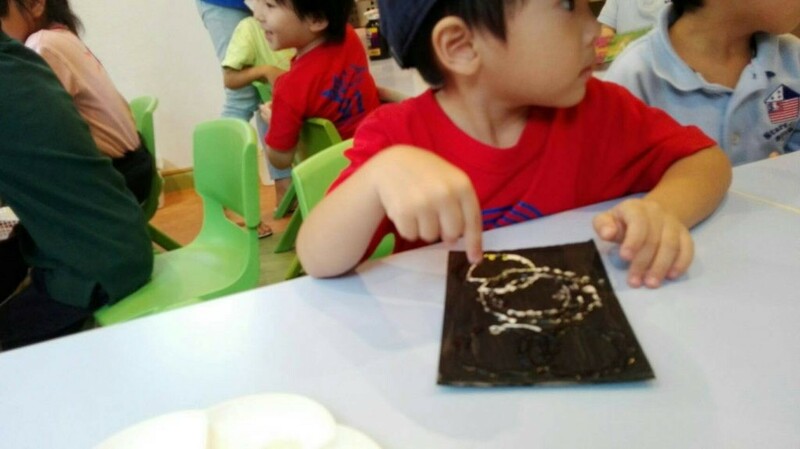 So now we move on to the second part of our embossed art activity–the finishing touches. 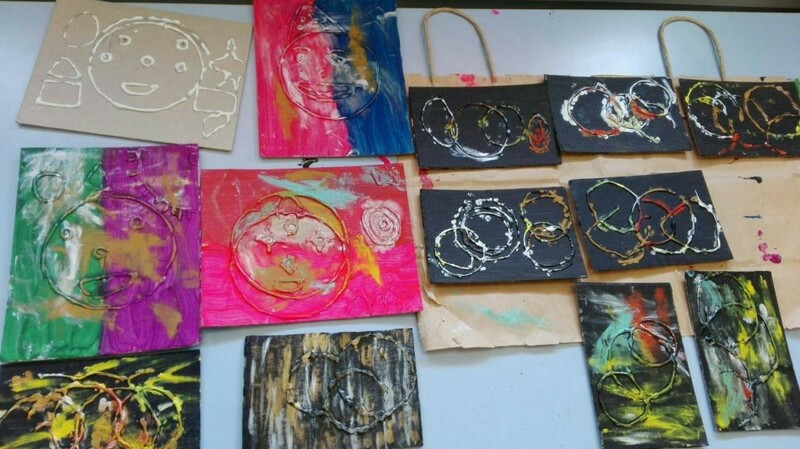 After letting the base paint to dry overnight, the kids finally added another layer of color to their cardboard to reveal the beautiful patterns they made. They used shades of gold, silver, and pearly green to add a metallic finish on the surface. 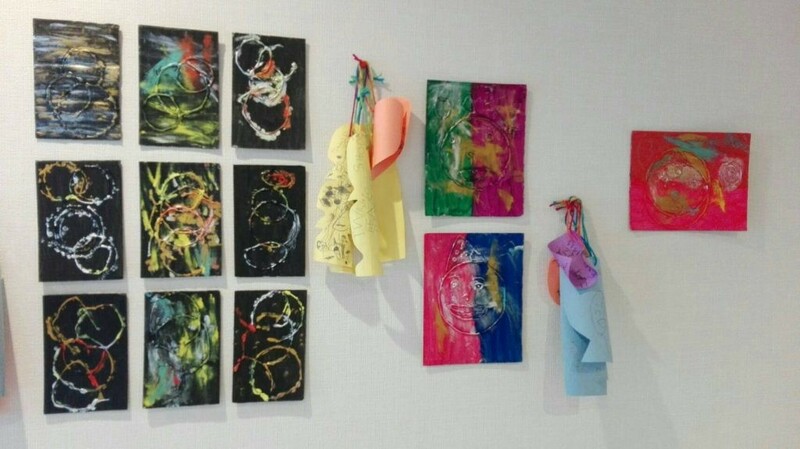 They also used shades of yellow, vermillion, light brown and light green to add more effect on their embossed art. 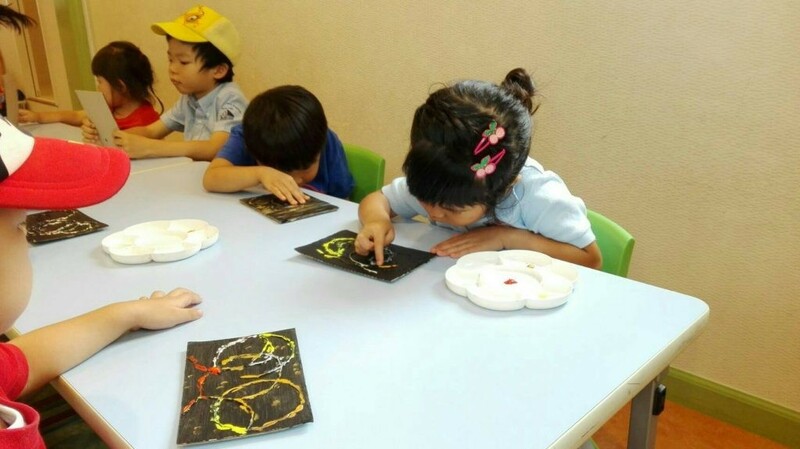 Rather than using a paintbrush, we asked the kids to use their hands to spread the colors on the board so that they would be able to explore their sense of touch.